This gift guide is part of a sponsored opportunity with MomSelect and HP. All opinions are 100% my own. 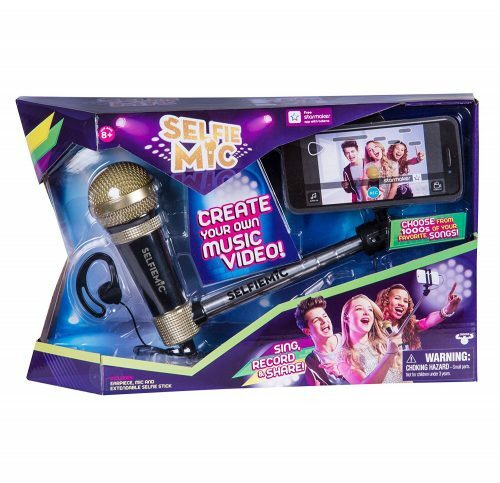 Want to give your tween a gift that she’s really going to love? Check out this gift guide featuring the best gifts for tween girls. You’ll find great gifts for your tween and you may even find a few that you want too! 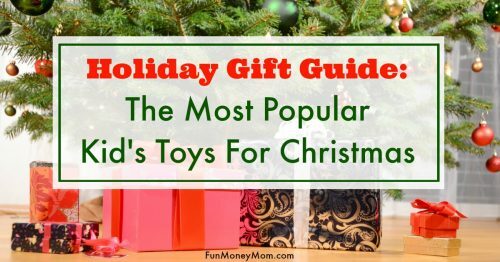 I put this gift guide together with my own tween in mind so when I was getting ready to publish it, I thought I’d run it past her first. After all, if she didn’t like any of these gifts for tween girls, I might just have to take them off my list. That didn’t turn out to be a problem because she said she’d love to see every single one under the Christmas tree. There was only one that didn’t get her super excited so that one was replaced with one of her ideas. While she’s not going to get all of these (nice try, Ashling), I do have a couple of them already wrapped and ready to go. I’m just not saying which ones! 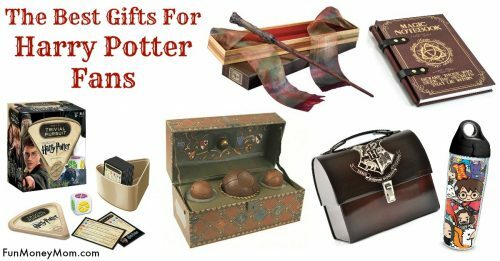 If you want to have a happy tween on Christmas morning, all you need to do is put a few of these gifts under the tree! 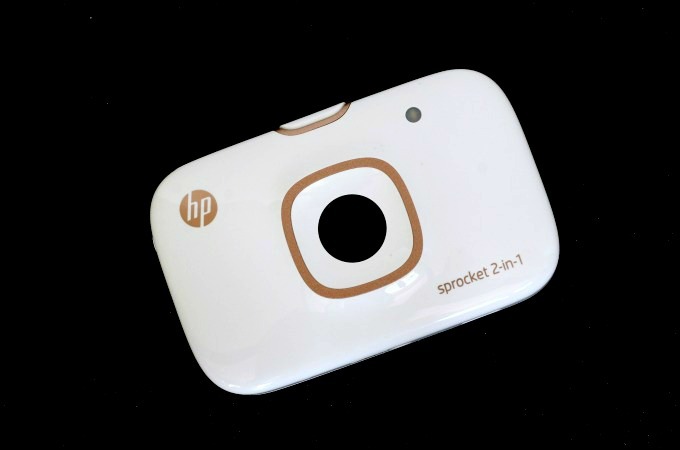 I’ve already been playing with the new HP Sprocket 2-in-1 Camera and my tween is going to love this! It’s a pocket sized camera and printer all rolled into one. It prints 3″ x 2″ pictures from your smart phone, social media or even the Sprocket’s built in 5 MP camera and it’s so light that you can take it anywhere. Throw it in your purse and you won’t even know it’s there. 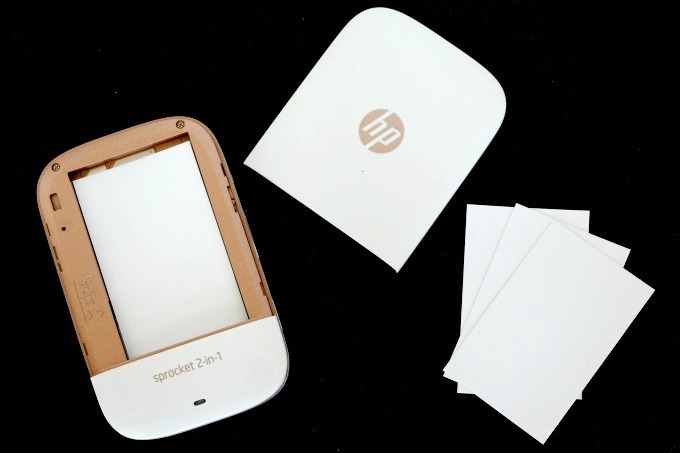 It took no time at all to connect it to my phone via bluetooth and download the free HP Sprocket App. 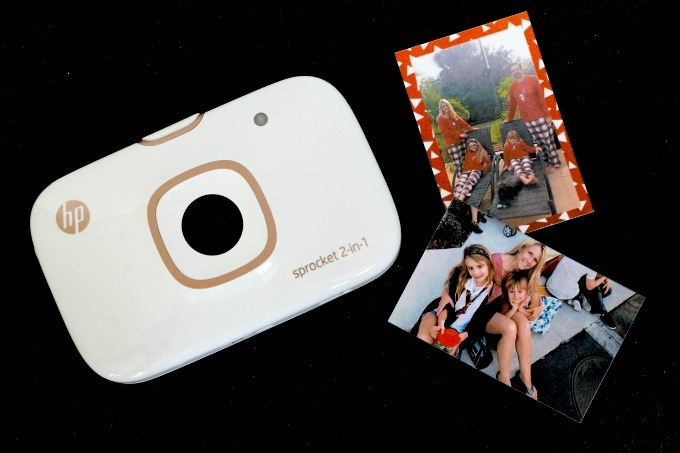 How cool is it that the Sprocket 2-in-1 can wirelessly print 3″ x 2″ pictures straight from your smartphone? It doesn’t even need ink. Just slide off the back panel, place the paper in the tray and slide the panel back in place. The printer gives you 313 x 400 dots per inch color resolution and prints in seconds. Once the photo prints, the back can be peeled off and it can be stuck in a locker, on a mirror or anywhere else a tween girl would want to decorate. Though the Sprocket 2-in-1 comes with a 10-pack of photo paper, you’ll probably want to throw in a couple extra packs (they’d make great stocking stuffers). You can take photos on the spot with the built in 5 MP camera and there’s even an LED Dual Color Flash for better pictures. The app lets you customize your photos, adding borders, graphics or even silly things like Santa hats and beards. What more could a tween girl possibly want. When my daughter came home earlier this year and told me she was the ONLY one in the entire school that didn’t have any squishees, my first thought was “What in the world are squishees”. I gave in and bought her one and now she has an entire collection of Soft ‘n Slo Squishees. Squishiees are foam toys that come in a multitude of shapes and sizes, that you squish like a stress ball. Even I find squishing them a little addictive. All squishees are not alike though and according to my girls, the “slow rise” squishees are the ones you want to give. Look for the ones that are slow to resume their shape after being squished. Every pre-teen needs a journal, right? She can record all her deepest thoughts in this cute emoji journal. 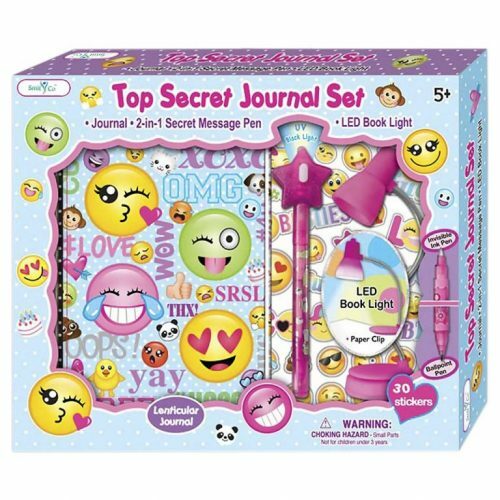 In addition to the journal, this one comes with an LED book light and a secret message pen too. 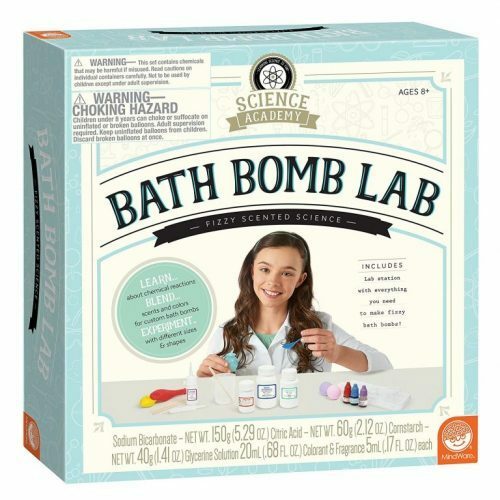 I love gifts that are tied to science in some way and this bath bomb kit is going to be a hit. She would love making these and I’m secretly hoping that if she finds this under the tree, she’ll make a few extra bath bombs for mommy! 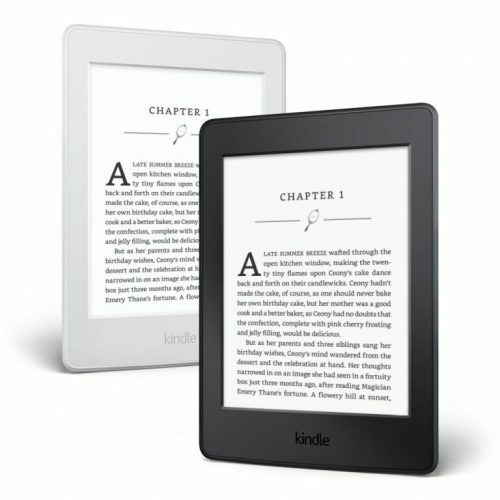 If you’re tween loves to read, there’s no better gift than a Kindle. Ashling goes through so many books that we’re running out of room for them (maybe I should add a bookshelf to this list!). With a Kindle, she can read as many books as she wants and we don’t have to figure out where to keep them all. Plus, it’s perfect for on the go and long road trips! 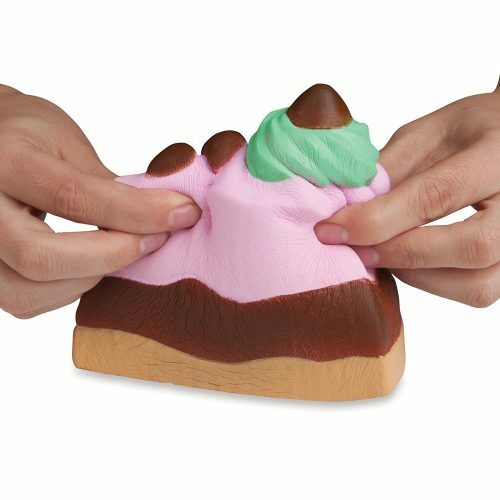 If your tween is a girly girl, she’ll love this mini spa. It’s a bit of a science project too, since she’ll be able to make her own custom nail polish. It also comes with glow in the dark nail stickers and color change nail decals. 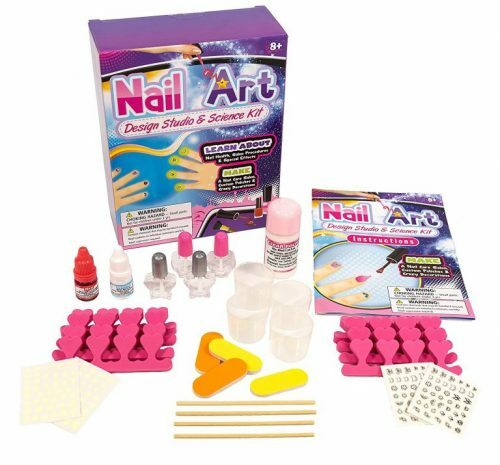 With over 270 accessories, this’ll keep your tween busy for awhile. I’m starting to think that I may secretly be a tween at heart because I kind of want this colorful bluetooth speaker for myself. 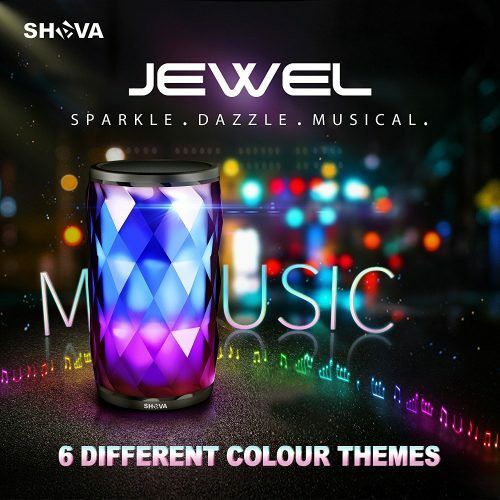 It’s the modern day disco ball with six different color changing themes, but your tween can actually use it to listen to her music. The bonus? It also doubles as a nightlight. 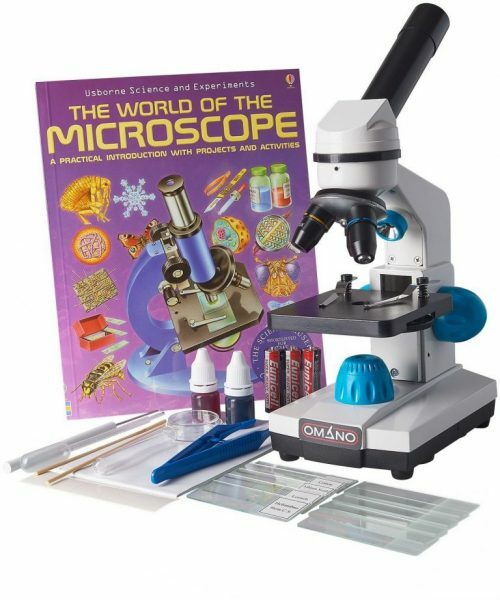 Every kid wants their own microscope, right? I know I did. This one is highly ranked and features precision glass optics for crystal clear images of the slides. It also magnifies from 40x to 400x and has top and bottom LED lighting for slides or solid objects. It comes with a fun experiment book but tweens can also come up with their own unique experiments. 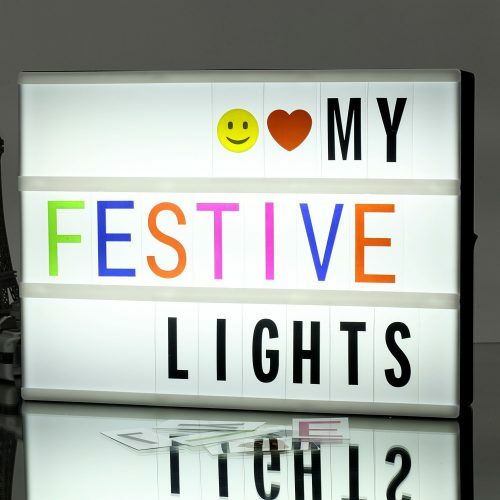 This fun light display comes with 271 changeable letters, numbers and emoticons so your tween can change out the sign depending on her mood. Just stay away if you see a frowny face! How cute is this? 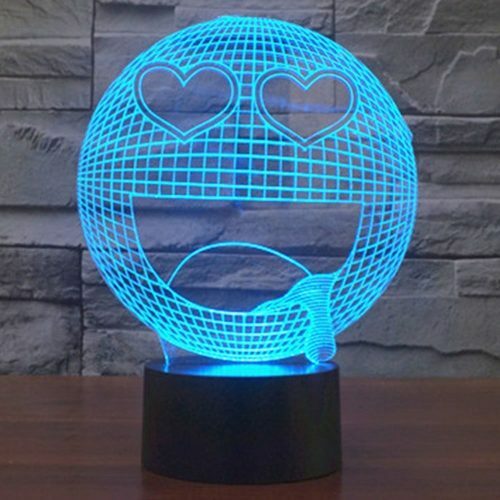 Tweens will love this fun 3D nightlight that features seven different color changes. It’s also eco-friendly with low energy consumption so parents will like it too. Cat ears are all the rage these days. When I volunteer at my daughters’ school, I see cat ear headbands on everyone from Kindergarteners to 5th graders. 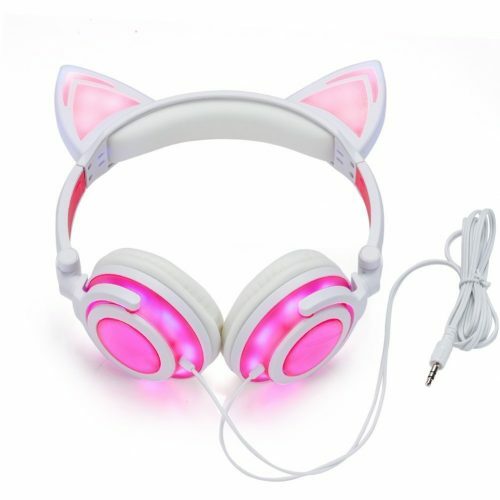 It just makes sense that there would be cat ear headphones. The fact that they light up (or flash and blink) makes them that much better. Here’s another great gift for the girly girl. She can run her own hair salon, creating fun hair colors with hair chalk and metallic pens. It also comes with beads, a beading tool, elastics, a comb and a storage case to keep it all together. 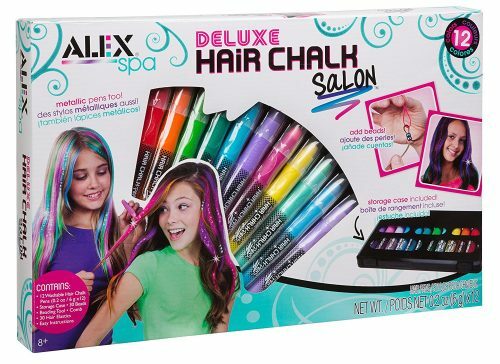 The hair chalk washes out so your tween can change her hair color as often as she changes her clothes. 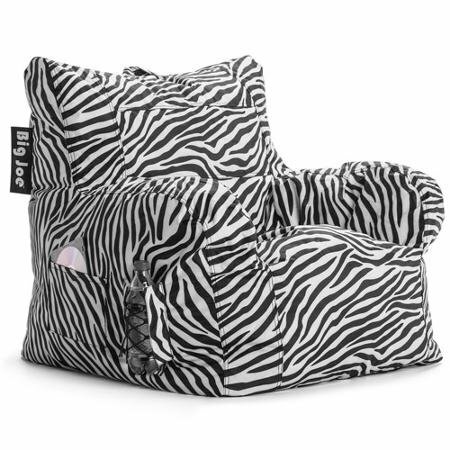 Perfect for your tween’s bedroom, this makes a great spot for reading, talking on the phone or watching Netflix and chilling. The side pockets are great for storing books and magazines. You also don’t worry if you have a messy tween (are there any neat ones?). Since it’s for kids, they’ve wisely covered it with stain and water resistant fabric. Does your tween want a pet? A fish is a great idea when you don’t want to walk a dog or clean cat fur off the furniture. 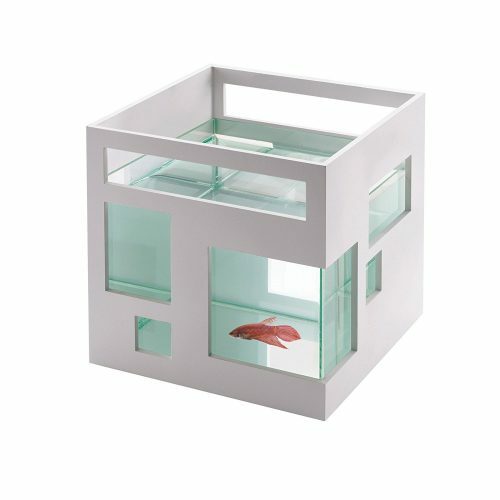 This FishHotel mini aquarium is stylishly art deco and can even be painted to match your tween’s bedroom. The glass bowl inside slides out for easy cleaning. Which of these gifts do you think your tween girl would love best? Mine has already made it clear that she wants them all, from the Sprocket 2-in-1 to the cat ear headphones. She’s definitely been on the nice list all year but I’m not sure if she’s been THAT nice!